For only the second time in more than three decades, the Rockand Right to Life Committee canceled its bus trip to Washington for the March for Life when the timing of the storm Tuesday/Tuesday night raised concerns that the roads would not be cleared for people to make it safely to the bus pickup points at 5:45 a.m. and that the church lots would not be plowed for parking when they arrived. 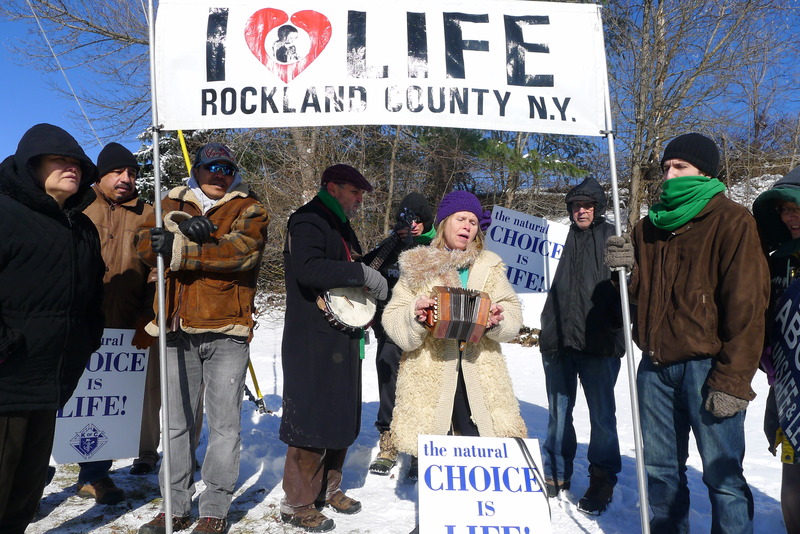 Nevertheless, the marchers quickly reorganized, and joined with the Our Lady of Guadalupe Rosarians at the prayer site on Perlman Drive in Spring Valley at noon to commemorate the 41st anniversary of the Roe v. Wade Supreme Court decision which legalized abortion in 1973. Before the prayer service began, Rabbi Noson Leiter of Torah Jews for Decency addressed the group. He warned of the dangers of the agenda of politicians like Gov. Andrew Cuomo, who just last week said that right-to-lifers have no place in New York. 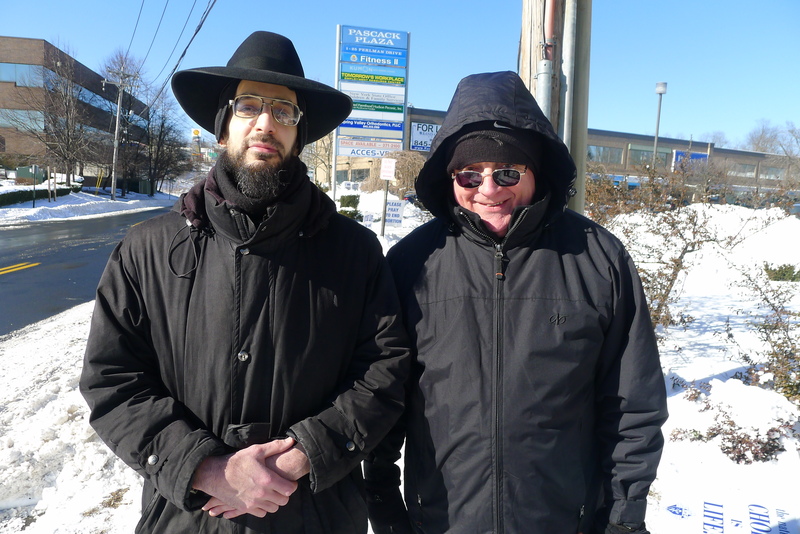 The rabbi also cautioned the listeners that abortion and other moral evils perpetuate not just because of what their proponents do, but because of what good people fail to do. Fr. Gerry Deponai, pastor of St. Anthony’s Church in Nanuet, then led the group in recitation of the Glorious Mysteries of the Rosary and the program ended with the singing of a hymn and “God Bless America,” led by Peter and Mary Ann Partridge. Mary Ann and Peter Partridge lead the group in song. 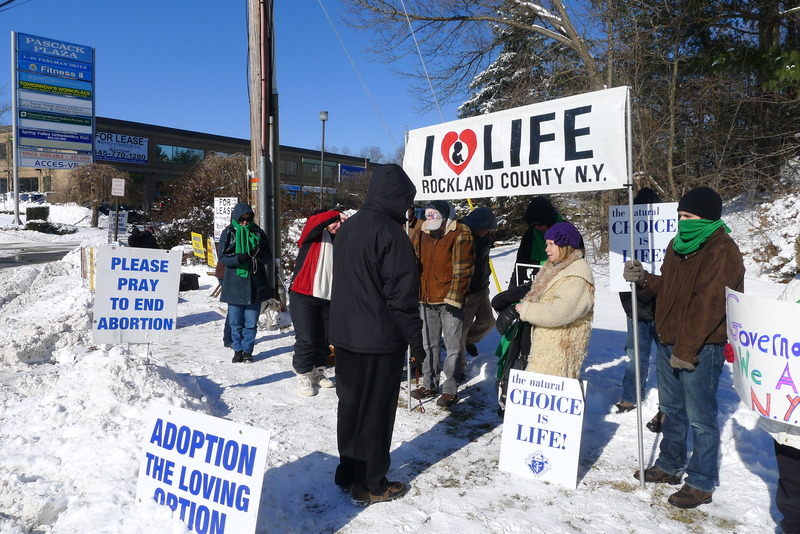 The Rockland event was one of thousands of protests, marches, prayer services, and masses held across the U.S. 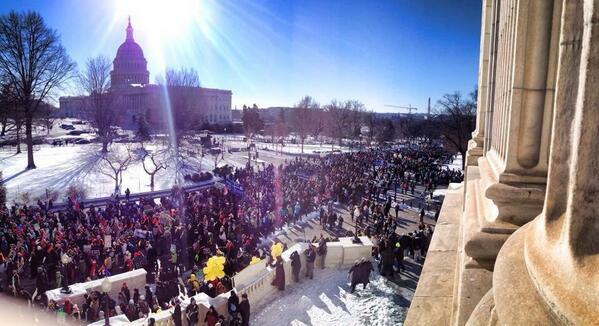 In Washington, D.C. thousands braved snow and frigid temperatures to participate in the annual March for Life. The National Review reported that about half the marchers were under 30, a presence that demonstrated the strength of “prolife generation,” who promise to be the generation who will end abortion. The March for Life in Washington , D.C.
Click on the “Continue Reading’ to see additional photos. Click on a photo to enlarge it. Then you can cycle through the batch by using the arrows.